Keep your shoes and boots polished to perfection with this Selvyt polishing cloth. Made from 100% cotton, it will care for your shoes as you polish and build up a really glossy shine. Simply apply a good quality polish and use the cloth to buff the shoes until they are up to the required standard. As good as new when washed, the cloth can be used again and again so you can keep your shoes and boots looking brilliantly smart all the time. Ideal for boots and shoes, this Selvyt polishing cloth is highly effective and will ensure the best results when polishing footwear. Made from 100% cotton, the cloth is perfect for military standard bulling and can produce a truly superb shine. Use with a high quality shoe polish and apply very thin layers in small circles using the cloth for the best possible results. The cloth will be as good as new when washed, so you can keep your boots and shoes polished to the highest standard at all times. 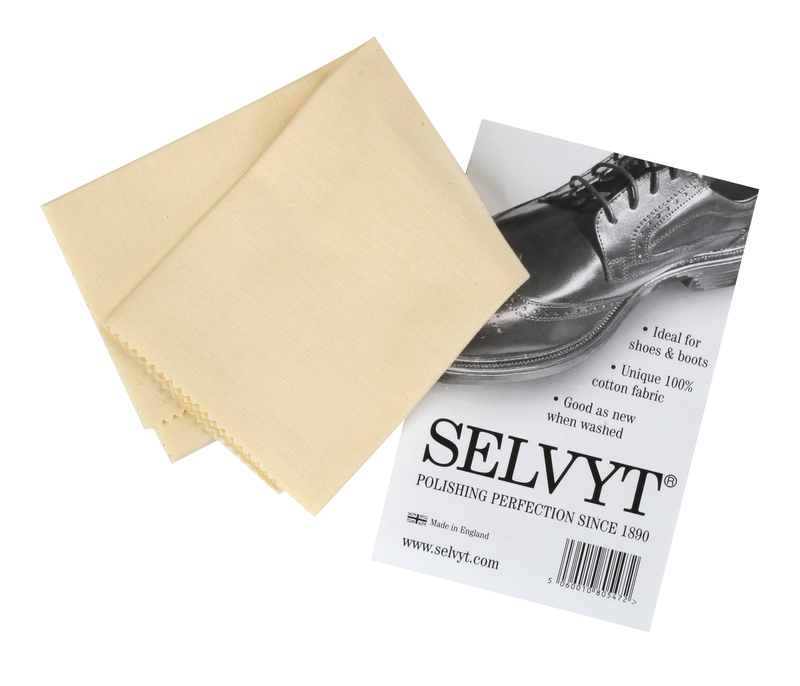 From a brand you can trust, this Selvyt cotton cloth will help you to achieve a truly fantastic mirror shine on your leather shoes.